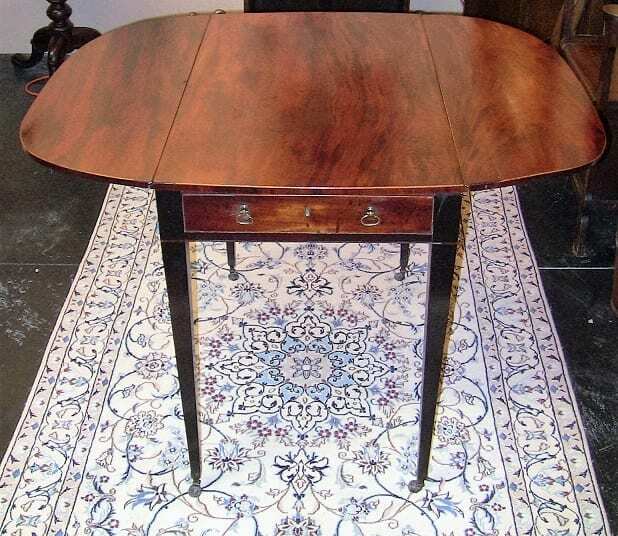 18C Irish George II Mahogany Pembroke Table. 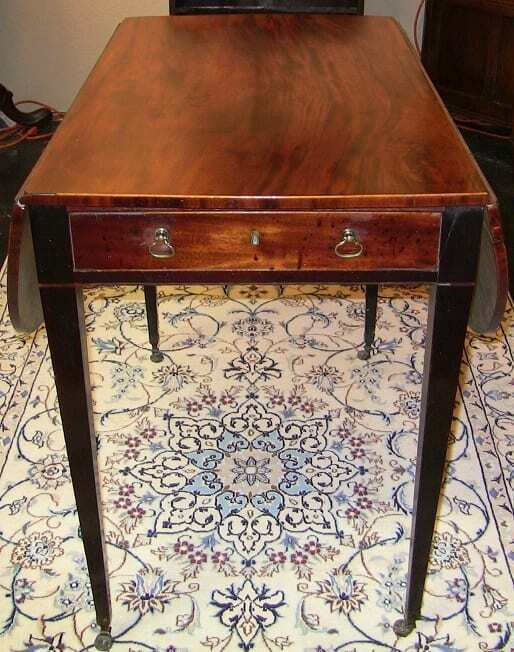 GORGEOUS SIMPLICITY in this 18th Century…..George II…..circa 1760……mahogany pembroke table. 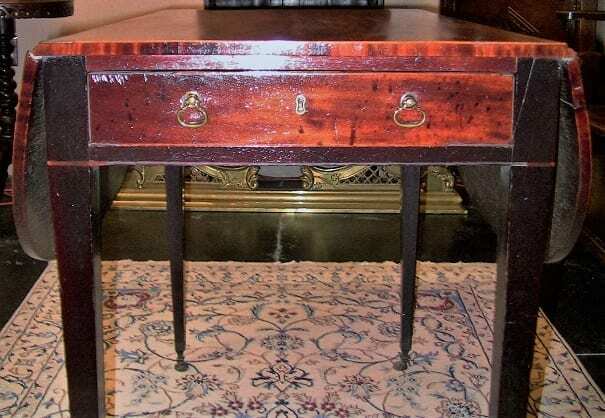 Solid flame mahogany in its construction…..fold down side leafs……central drawer with satinwood stringing……false drawer on other side. 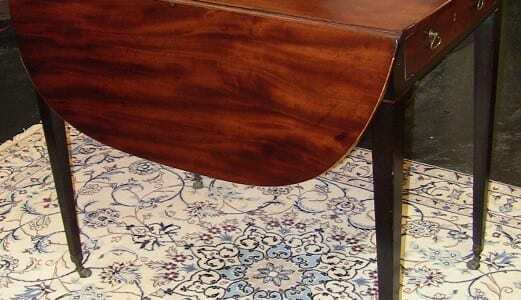 Satinwood stringing to edges of table top. Lovely tapering legs ending with original brass castors. This piece was most likely a provincial Irish piece……it is not overly inlaid…..it is simple……but beautiful in its simplicity !! It has a lovely brown patina consistent with its age…..it is QUITE RARE !! 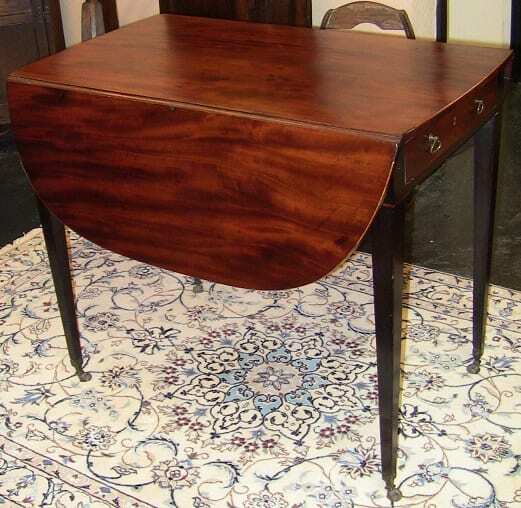 Pembroke table, light, drop-leaf table designed for occasional use, probably deriving its name from Henry Herbert, 9th Earl of Pembroke (1693–1751), a noted connoisseur and amateur architect. 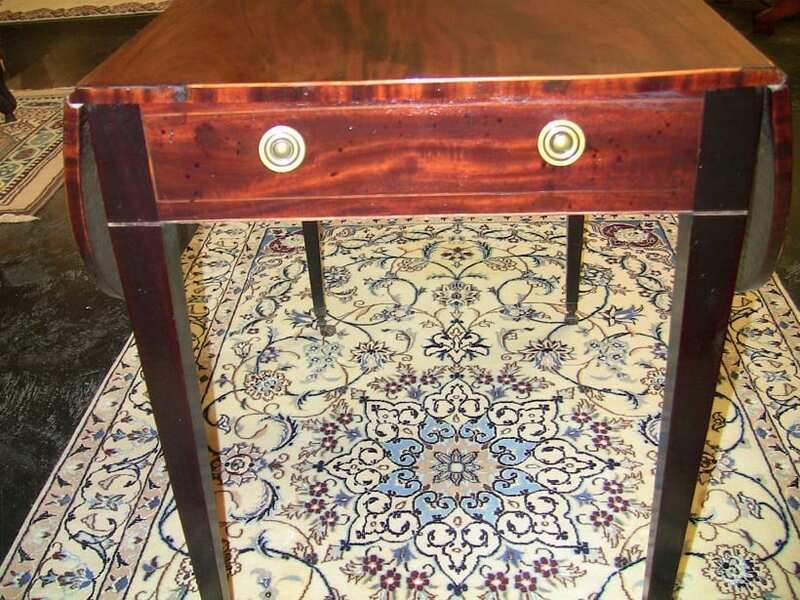 The table has two drawers and flaps on either side that can be raised by brackets on hinges (known as “elbows”) to increase its size. Usually provided with casters (it was often used for bedside meals), the legs of the common English versions, as illustrated by Thomas Sheraton and others, are supported or reinforced by X-shaped stretchers. In the United States a distinctive type of support, shaped like a lyre, became popular toward the end of the century. 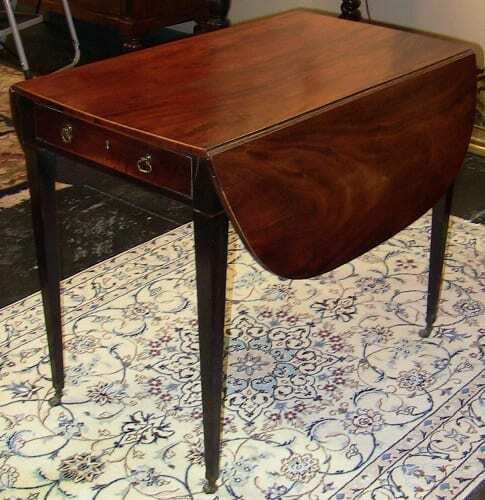 It is also known as a flap and elbow table.